As you walk into this home flooded with natural light, you are warmly welcomed into the open kitchen/dining area that is perfect for entertaining. This home has recently been updated with new carpet and paint and it certainly shows well. Featuring a great open floor plan, vaulted ceilings and the bonus of a finished basement with high ceilings and creates another space for gatherings and guests. There are 4 bedrooms on the 2nd floor, all a great size, and there is also a huge master suite. This home has tons of square feet for the money to enjoy! 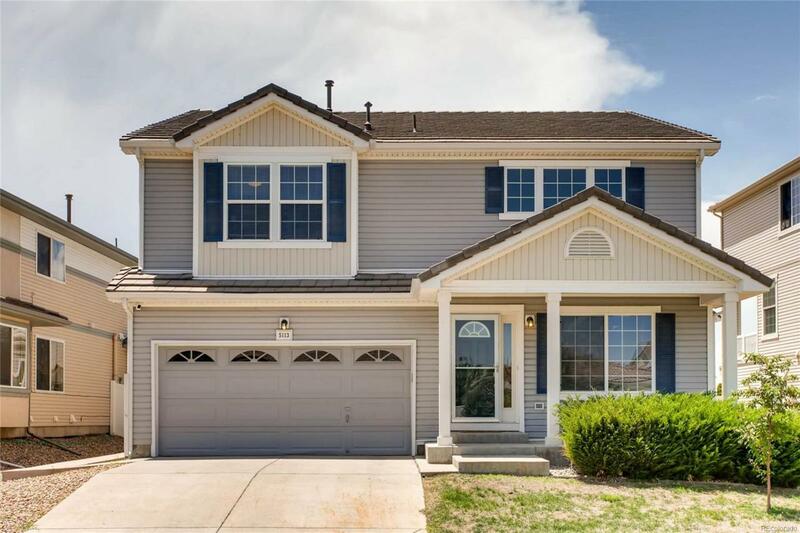 With a location that is close to Town Center Park, you can enjoy the perks of living in Green Valley Ranch with golf course discounts, parks, close to good schools, DIA and the new Gaylord Hotel. This home is move in ready and not one to be missed.